Double knot morphs are symbolized in Figure 1 by Circles. Ectoflexids are shallow on premolars, deep on molars. Metastylids are either rounded or pointed. Lingual valleys are pointed, inserted between the convex faces of metaconid and metastylid, or flattened, or even convex if pressed upon by very deep ectoflexids. Ectoflexids shallow on premolars and molars. 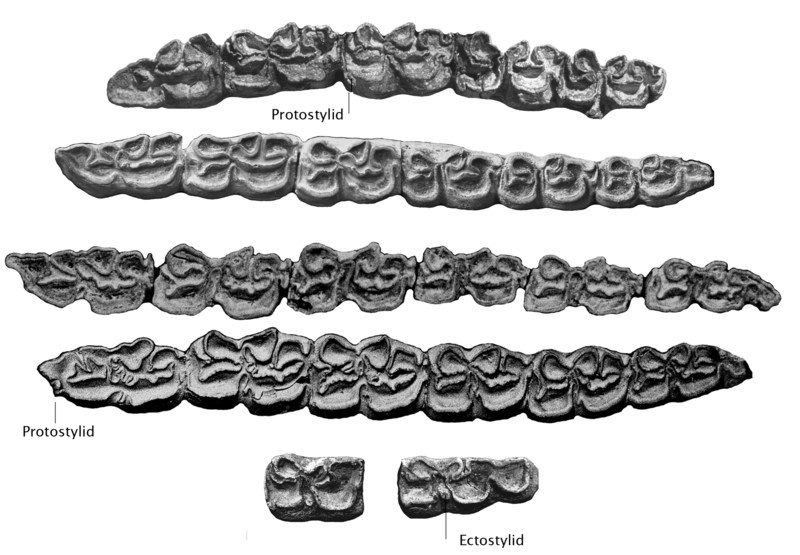 Metaconids and metastylids rounded. Lingual valleys pointed, between the convex faces of metaconid and metastylid. Ectoflexids shallow on premolars and molars. Lingual valleys pointed like in the usual pattern or convex on P and/or M, although there is no compression by the ectoflexid. This sort of « bridge » may look as the posterior part of an elongated and strangled metaconid. Lingual valleys shallow, metaconids elongate, Fig. 5. 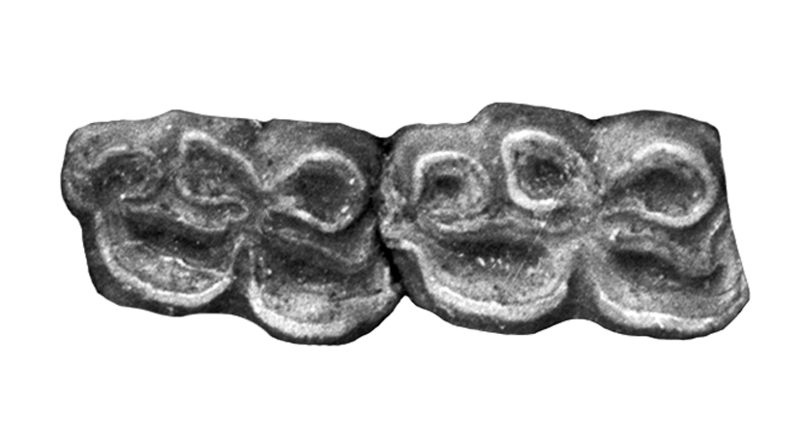 Occasionally the « bridge » described above is present on premolars or molars, Fig. 6. Ectoflexids shallow on premolars, shallow or deep on molars. Metastylids pointed. Lingual valleys concave or angulated. Ectoflexids are deep on molars and sometimes even on premolars. The enamel is very plicate. Plis protostylid occur on P2 and other teeth. Metaconids are often elongated. Metastylids are usually pointed. Isolated ectostylids are frequent. fr Tools (English) Morphological Characters ?